“It is not often that you find someone with an appreciation for life as Joy has and for it to be expressed in words so simple yet so powerful. Her poems give insight into the love that God has for humanity and the joy that humanity brings Him. This is good news in a world where there is so much bad news. You cannot read these poems and not be touched by a higher power, the creator of the universe, God Himself. I encourage you to read these poems over and over again and receive the encouragement, spiritual strength and joy that they bring. 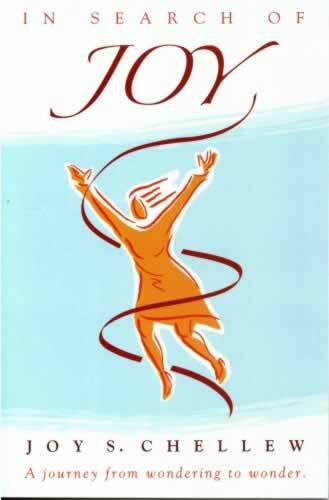 These are no ordinary poems because Joy Chellew is no ordinary person, so sit down and enjoy “In search of Joy”. You will not be disappointed.” Pastor Tom Inglis, Founder and Director of Psalmody International.